The TV, live streaming and radio listings are legal broadcasts of Milan - Empoli in United States. Authentication or subscription with a TV, ISP or streaming provider may be required. Please note that not all channels are available to watch online. If available online, we will link to the official stream provider above before kick-off. Milan will be desperate to hang on to their top four spot as they take on Lazio on April 13th. Live Soccer TV's match preview provides stats, team news, and global broadcast listings for Milan vs Lazio. Los Blaugranas will have to find another transfer target after being snubbed by the Bundesliga footballer. Two of Italy's biggest sides go head to head in Turin on Saturday evening. 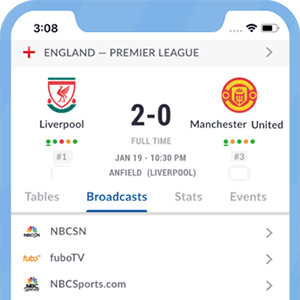 Live Soccer TV's match preview provides team news, match facts, and global broadcast listings for Juventus vs. AC Milan. Milan will be looking to bounce back after back to back losses as they take on struggling Udinese. Live Soccer TV's match preview provides match facts, team news, and global broadcast listings for Milan vs Udinese. After their shock loss to Genoa last round, Juventus resume Serie A action as they take on Empoli. Live Soccer TV's match preview provides team news, match facts and global broadcast listings for Juventus vs Empoli. The Barcelona attacker overlooked his current skipper and opted for the Swedish international as his best-ever teammate.